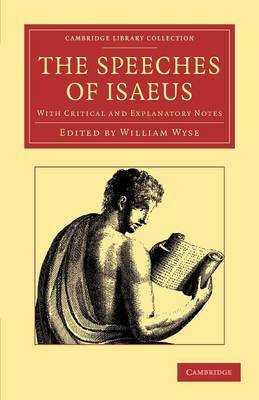 Very little is known about the life of the Attic orator Isaeus, who was active during the first half of the fourth century BCE, and many of his speeches have been lost to posterity. Published in 1904, these surviving speeches, presented in the original Greek with extensive commentary by the classical scholar William Wyse (1860-1929), are mostly concerned with the convoluted intrigue of inheritance disputes. Wyse regarded Isaeus as 'an unscrupulous falsifier of law and fact in the service of clients whose claims to the estates they contested were, without exception, fraudulent'. While modern scholars may not fully share this view, Wyse's monumental and learned edition is still a standard work in the study of ancient family law. In addition to a critical introduction, the texts of the speeches, and the detailed commentary, this work also includes family trees to aid understanding of the complex cases.